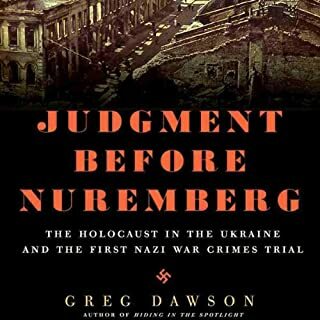 When people think of the Holocaust, they think of Auschwitz, of Dachau; and when they think of justice for this terrible chapter in history, they think of Nuremberg. Not of Russia or the Ukraine, and certainly not a town called Kharkov. But in reality, the first war-crimes trial against the Nazis was in this idyllic, peaceful Ukrainian city, which is fitting, because it is also where the Holocaust actually began. The sham accents took everything away from enjoying this rather over done book. Ssave you money and wait for a better title. 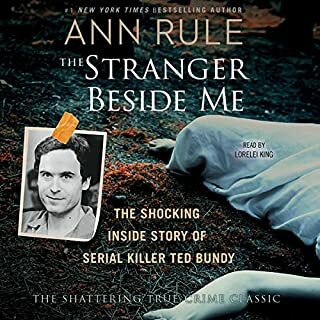 Rule produced the best of the Ted Bundy books. She was the one of those who, initially, thought that there had been a ghastly mistake. It was fascinating to watch as she came to the realization that the trusted companion, from a crisis center, was a monster. Rule held her emotions in check, when It must have made her skin crawl to remember her experiences. This book was the making of her career. It is the First but not the Last word on the Bundy Case. It does whet the appetite to read more. 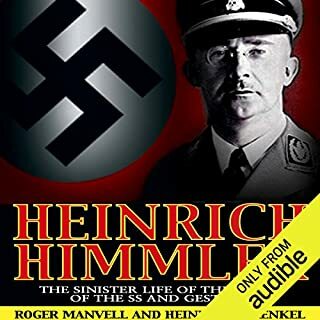 Authors Roger Manvell and Heinrich Fraenkel, notable biographers of the World War II German leaders Joseph Goebbels and Herman Goring, delve into the life of one of the most sinister, clever, and successful of all the Nazi leaders: Heinrich Himmler. As the head of the feared SS, Himler supervised the extermination of millions. Here is the story of how a seemingly ordinary boy grew into an obsessive and superstitious man who ventured into herbalism, astrology, and homeopathic medicine before finally turning to the “science” of racial purity and the belief in the superiority of the Aryan people. Much like Eichmann in Jerusalem, this work points out the banality of unbelievable crimes when perpetrated by a faceless bureaucrat behind a desk. This book shows Himmler beyond the almost mythical shield of evil that has grown up around him. The question which begs an answer: How could anyone place any faith in such a non-entity and zero of a personality? Himmler was a Desk Criminal, who would have been unable to stand at the edge of a pit and see the outcome of his own orders, who in the end proved himself a coward by taking the suicidal way out of having to answer for his crimes. Arendt was severely criticized over her opinions, as expressed in this book. Rather than demonize Eichmann or give him a pass as one who was following orders, she showed the banality of his crimes. Monstrous deeds carried out by a mid level bureaucrat sitting behind a desk,. With the passage of time readers, unlike those in the 1960s, can read this work and use a collective knowledge of the Shoah, which was not available when it was first published.. 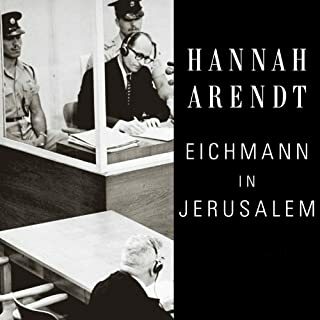 I suggest serious students of history read about all Eichmann's crimes before reading this narrative of how he was called to account by the Jewish people. Arendt gets full marks for courage to swim against the stream of the public opinion of her time. Reads like an accountant's journal. This is a listing of Pierrepoint's "clients." Very little insight into the man, , his uncle, or his father. Pierrepoint: Executioner was a better read, but neither book opened the door on how it really feels to hang so many men and women. Would you ever listen to anything by Steve Fielding again? That would depend on the reviews. 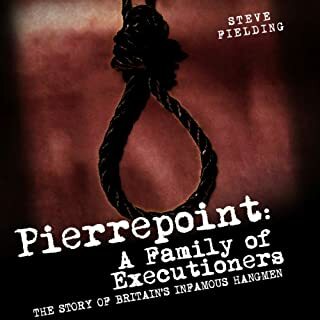 I purchased the Pierrepoint book without reading what others had to day. I am not sorry I did, for what it has it is informative, but it missed the mark. What didn’t you like about Norman Gilligan’s performance? Nothing, the performance, because of the prose, was stilted and wooden. Pierrepoint was never very forth coming about his profession. I surmise that he would have been content never to have become a person of public acclaim. I choose to believe that in the end the notoriety is what made him give up the business. This is a good book and Manchester is devoted to his subject. There is much more to Mr. Churchill than ever makes it into the popular history books. 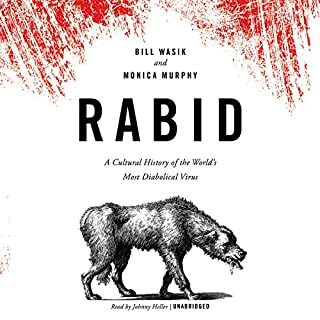 There should be audible offerings of alternative history of individuals like WSC. 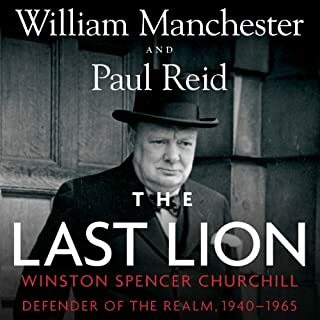 What was one of the most memorable moments of The Last Lion: Winston Spencer Churchill, Volume 3? It was predictable there were no 'Most memorable moments." AS I stated, the story of WSC needs to be updated. I don't believe that authors need to remove the shine from his character, but I do think that a more fair and balanced biography has been produced, by David Irving, yet not one of his titles appear in audible. I personally don't agree with his views on the Holocaust, but I don't think anyone can deny his excellent technique for presenting balanced history.